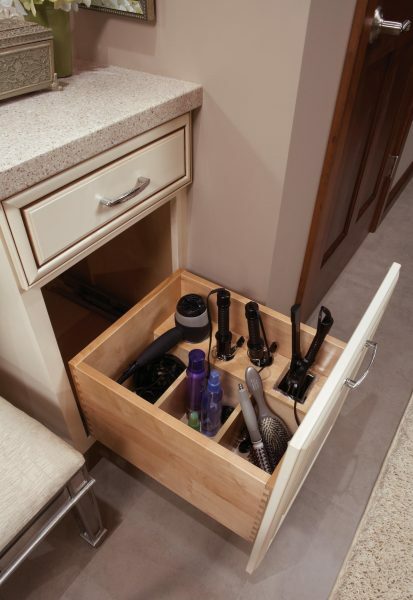 Eliminate counter clutter and tangled cords by storing hair dryers and other supplies in the salon styling center. Available height 32″ and 34 1/2″. Includes pull-out door attached to 10 1/2″ high drawer box with syling center. Storage compartments feature adjustable, 1/2″ thick dividers.